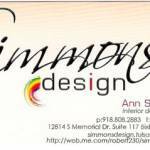 Simmons Design services include all aspects of interior design and art commissions. Ann always loves to incorporate her love of art in her interiors, by painting a special commission piece, a custom mural, or those special photo shoots. 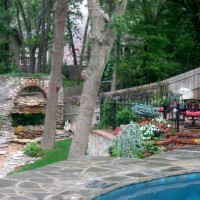 Ann provides her clients and other professionals in her field many services, such as: architectural renderings, color boards, space planning drawings, colorfinishfurniture selections; as well as, providing custom florals, window treatments, staging services and the knack of finding that one of a kind find. Simmons Design hasn't favorited any yards yet.